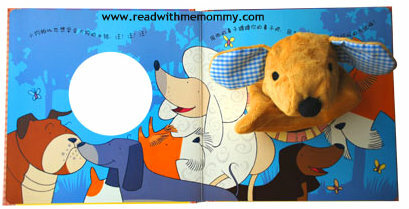 Playtime Puppy is an adorable board book with hand puppet, written by Emma Goldhawk and illustrated by Jonathan Lambert. Little Puppy is at the park, learning how to do the things that grown-up doggies do, let him nuzzle you with his noseto say hello, take cover as he shakes himself dry after a dip in the pond, help him dig a hole and pat him on the head to say, "Well done!". 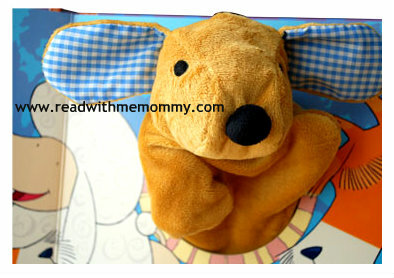 In encouraging the child to interact with the puppet, your child will learn more about dogs and what they can do. 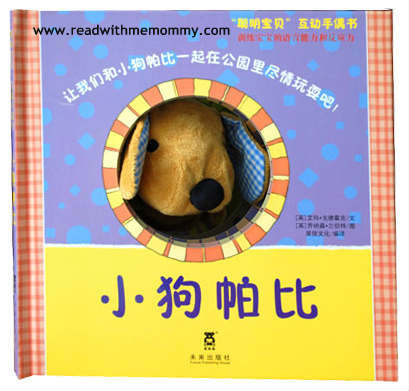 This is an ideal first book for families with pet doggies. 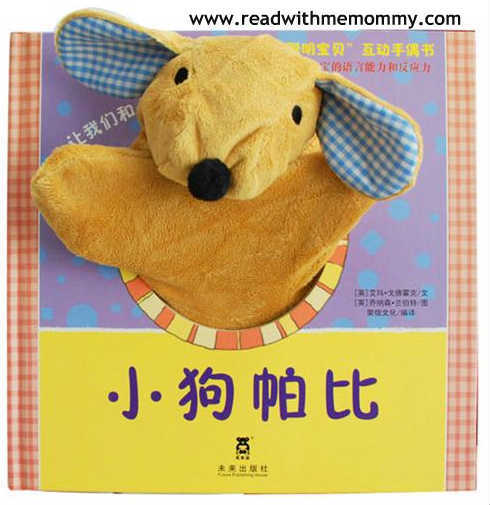 We would recommend this book for children from 9 months up.